When Oracle took over the development of MySQL in 2008, it switched to a slower release cycle, and the development became a lot more opaque. One of the lead developers of MySQL decided to fork the project, and MariaDB is the result. The idea was to continue the development of the database in a community-driven manner and to provide a “drop-in” replacement for MySQL. What is a “Drop-in” Replacement? It simply means that you don’t have to change any other configuration on systems that rely on MySQL. Once you install and activate MariaDB, all other programs that used to work with MySQL will now work seamlessly on MariaDB. In other words, if you’re running WordPress, you don’t need to change any scripts or your wp-config.php file when you migrate to MariaDB. 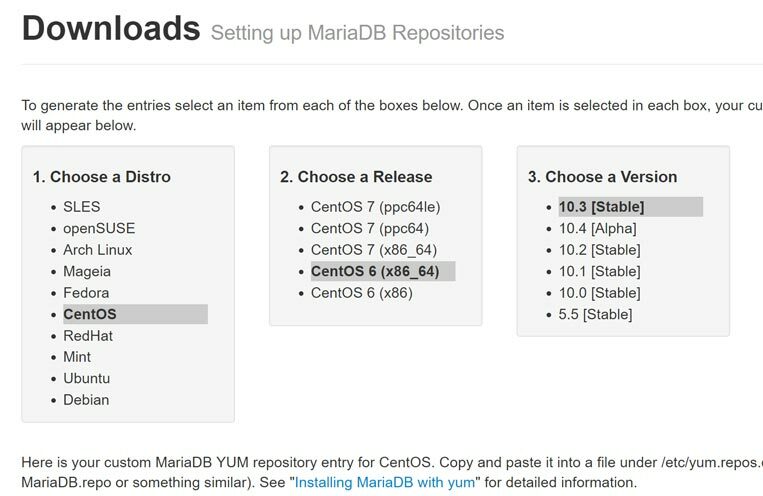 Here’s how to install MariaDB on a CentOS VPS. This will tell you which version of CentOS you’re running. 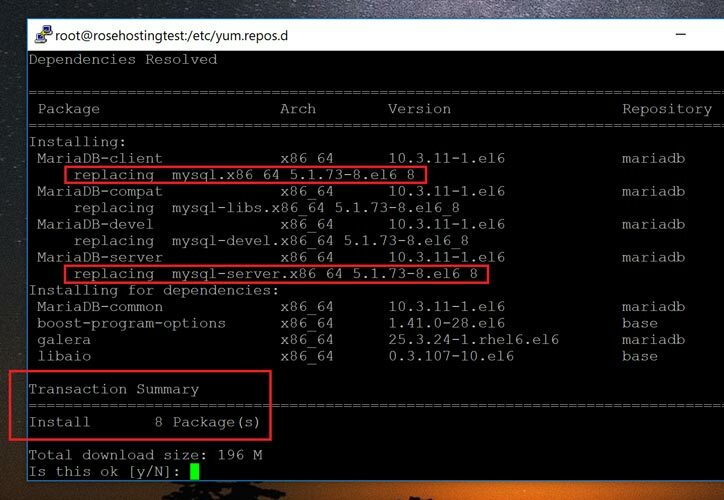 In this example, we’re going to use CentOS version 6.10. As of this writing, the stable version of MariaDB is sitting on 10.3, so that’s what we’re going to install right now. The important part is the “baseurl” parameter as shown above. This is what varies between various installations. Note how it says “replacing mysql”. This means that the new database system will response to the “mysql” command from now on. After the installation is complete, you will have MariaDB on your system! If you followed the tutorial step by step, then congratulations, you’ve replaced MySQL with MariaDB! Of course, you don’t need to install MariaDB yourself if you have a CentOS VPS hosted with us, in which case our expert sysadmins will install MariaDB for you. They are available 24×7 and can help you with any questions or issues that you may have. PS. 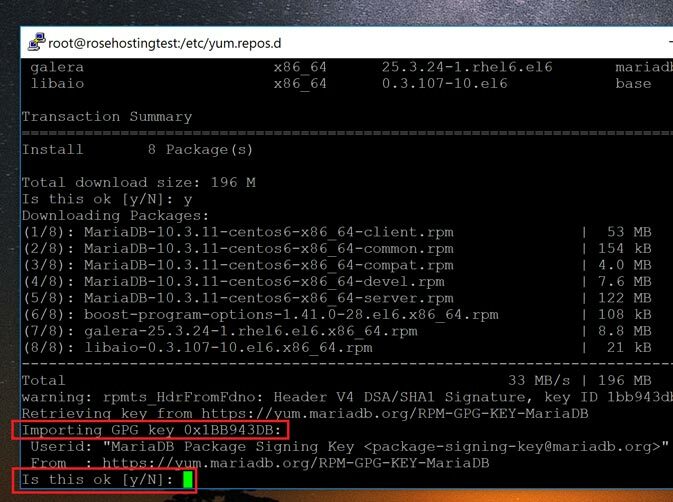 If you enjoyed reading this blog post on how to install MariaDB on CentOS, feel free to share it on social networks using the share shortcuts, or simply leave a comment. Thanks.